If you already know that you like the look of a rustic, wood house, then cedar is great option due to its durability. This type of wood repels insect damage and does well with extreme moisture and temperatures. 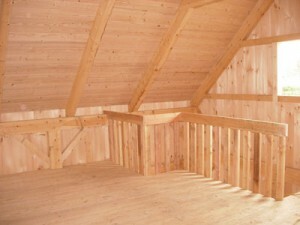 Post and beam houses depend on heavy timbers like cedar which require fewer supports due to their strength. Post and beam homes are based on early methods of architecture which resulted in buildings that have lasted through both time and extreme weather. A post and beam home is a very energy efficient option that will save you money for years to come. Unlike other types of construction, the post and beam process does not use treated or dimensional lumber which reduces waste and is better for the environment. 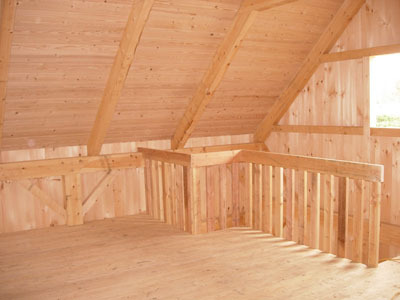 Unlike stick built cedar homes which take a very long time to construct, post and beam homes are quick and easy to build since panels are typically created offsite and fewer structural supports and joints are needed. You won’t need to wait long at all to start living in your dream home. Post and beam homes are easy to build exactly how you like. Most companies will allow you to have a lot of say in how you would like your house to be customized, so you truly can build the home you have always dreamed of. There are many reasons why you should consider a cedar post and beam home. For a beautiful, durable, and affordable home, contact a post and beam prefabrication company to get started.